This summer, Zeppelin Luftschiff-technik GmbH (ZLT) will begin re-erecting the Zeppelin NT – msn 004. This airship, known as the Eureka was in service until late 2012 with Airship Ventures at Moffett Field in California. 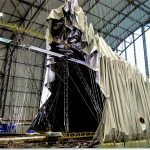 When Airship Ventures ceased operations, the airship was disassembled, packed in containers and shipped back to the Zeppelin hangar in Friedrichshafen. 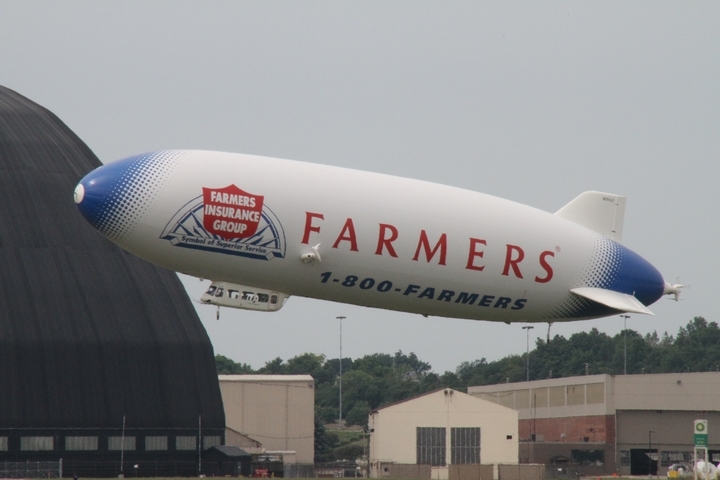 The airship Eureka takes flight near the Akron Airdock in 2011. Once it has been rebuilt, in spring of 2019, it will replace the Zeppelin NT “Baden-Württemberg” (msn 003), which has been in service since February 2003. Despite its 15 years of service, the airship “Baden-Württemberg” is still completely safe and airworthy. However, from a business point of view, it makes sense to replace it. The Zeppelin NTs built through 2012 were LZ N07-100 type airships. Starting in 2014 Goodyear received the first Zeppelins of the new LZ N07-101 series. These featured a completely new avionics system. Also, the gondola was enlarged, allowing for two additional seats. During its rebuild, the airship Eureka will be brought up to the state of the art, that is, it will be modified to type LZ N07-101. It will get a completely new avionics system and a passenger gondola with seating capacity for up to 15, among other things. 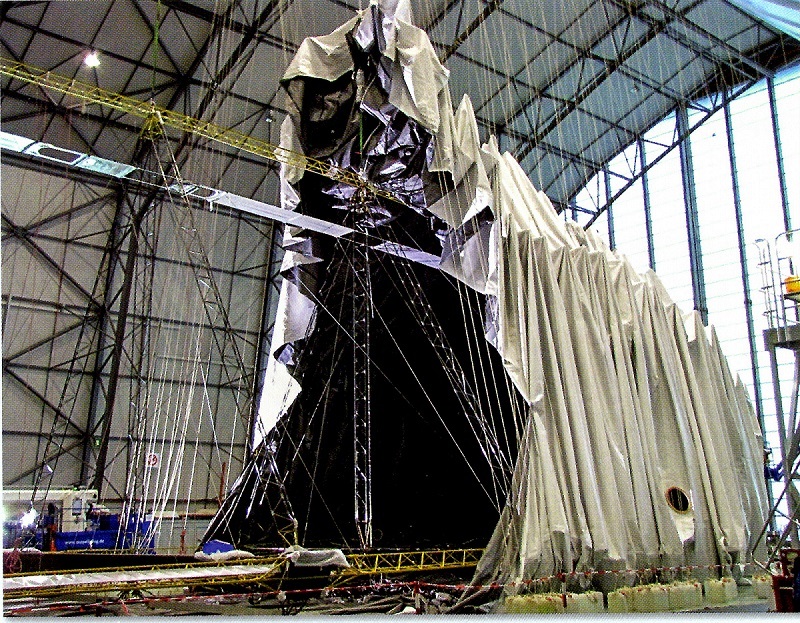 A Zeppelin NT is erected in the Zeppelin Hangar in Frierchsburg, Germany. All three Goodyear Zeppelin NTs were assembled in the Goodyear airship hangar at Wingfoot Lake in Northeast Ohio. From mid-2018 onward, there will once again be a chance to experience the construction and unique technology of the world’s most modern passenger airship here in Friedrichshafen, for example, on a guided shipyard tour in the Zeppelin hangar. 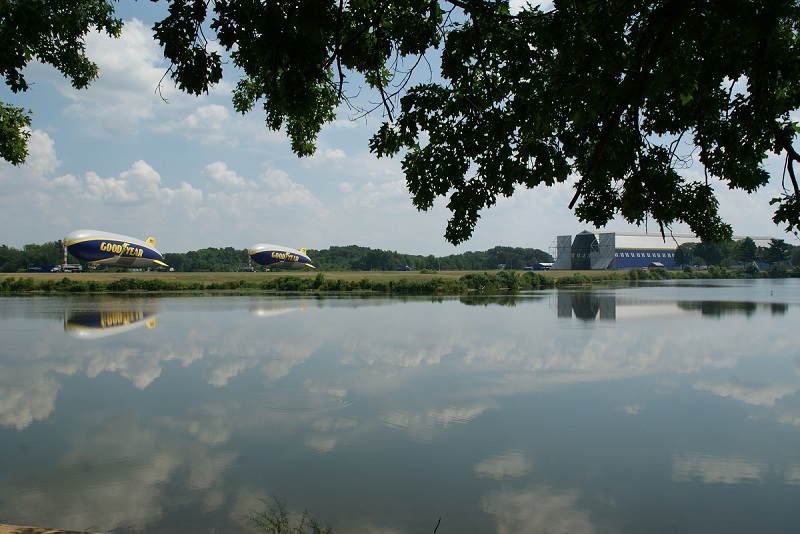 Two Goodyear Zeppelin NTs moored outside of the hangar at Wingfoot Lake in 2016. This entry was posted in Airships, Semi-Rigid and tagged airship, Airship Ventures, Akron, Eureka, Frierdrichshafen, Goodyear blimp, Wingfoot Lake, Wingfoot One, Wingfoot Two, zeppelin, Zeppelin Luftschifftechnik, Zeppelin NT. Bookmark the permalink.